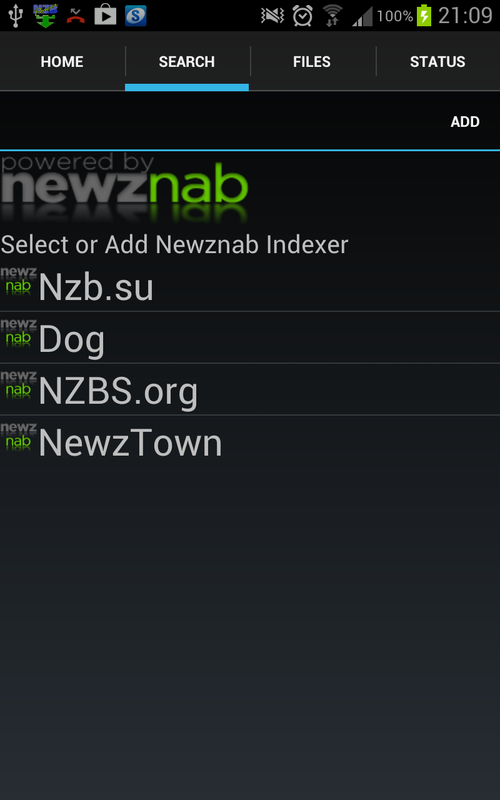 Power NZB includes built in API access to any NewzNab server. 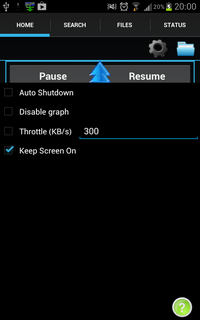 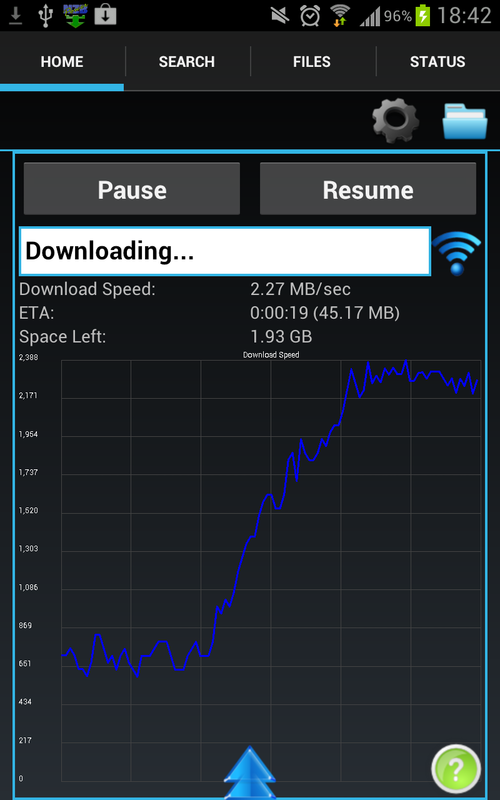 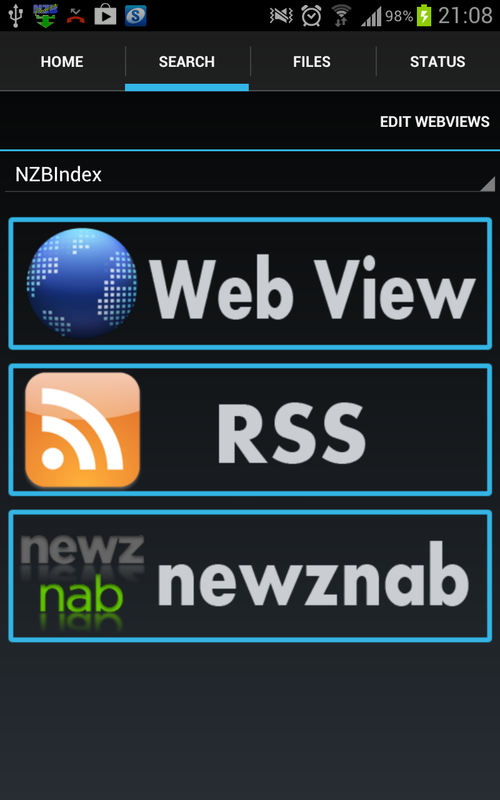 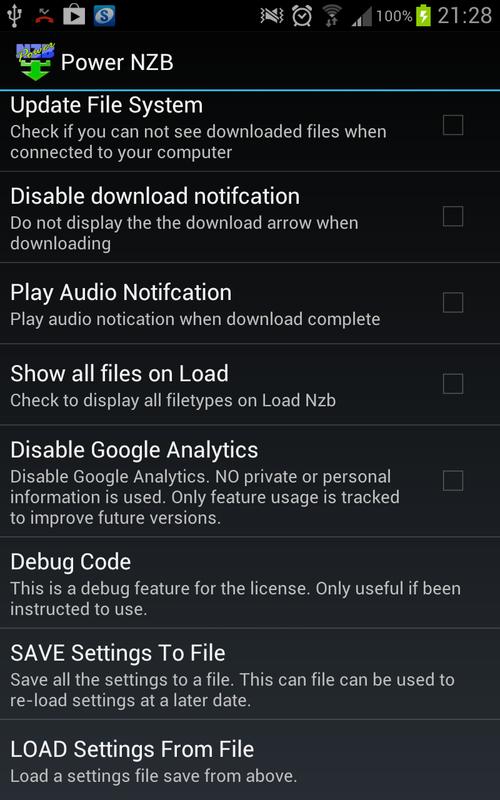 Webview allows your to access 7 popular NZB sites and download the NZBs straight into the app. 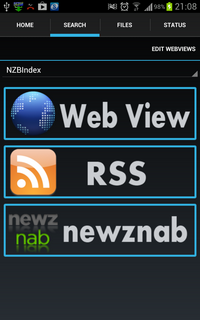 Add your favourite RSS feeds to keep up to date with the latest releases. 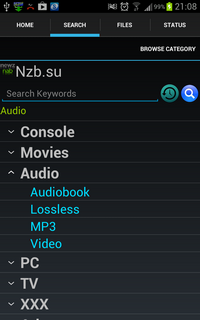 The built in File Manager enables you to the browse and open your files, click on videos, music or pictures to open them with your favourite player. 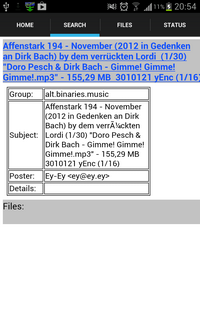 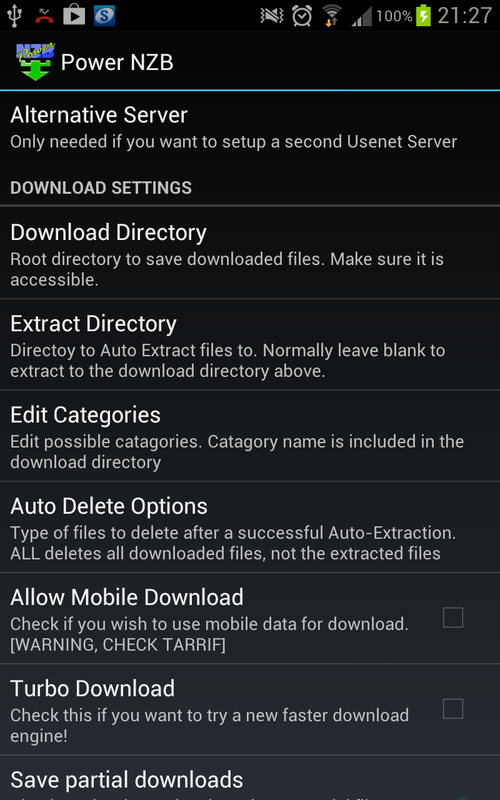 Delete and re-name files to keep it all organised. 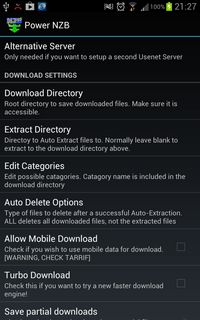 Extract rar files and scan for errors by pressing on the relevent .rar or .par2 files. 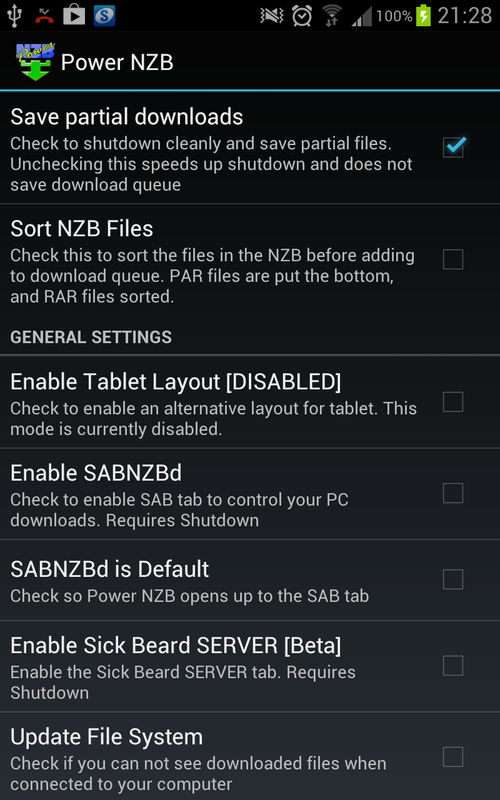 SABnzbd client built in. 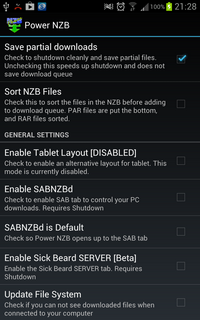 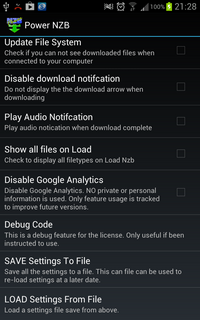 Manage your SAB server from within the app, use the search options above to download to your Android device OR send to SAB!